Sadly, 1 in 3 Women Will Be a Victim. Vow to not be a victim then act to make it so. Where are you right now—at work, home, shopping center, coffee shop, nightclub, restaurant, on a trip, in a hotel, in an elevator, headed to your hotel room, walking a street, jogging, in your bedroom, sitting alone in your car, at a stop sign or traffic light, underground parking garage or placing groceries in your car? It’s a long question but just go with it. Do you feel safe? Are you truly safe? Be honest. It’s a long question but just go with it. Do you feel safe? Are you truly safe? Be honest. Unfortunately, statistics on violence against women are more and more alarming, despite efforts to reduce the numbers. If you are a woman 21 or older, chances are nearly 1 in 3 you will experience a random or domestic, violent attack in our lifetime. Many women are at unusually high risk of serious injury or murder. In many cases, the victim knows her attacker. This is why this invaluable eBook is essential to being Alert, Aware, and Armed with information that just may save your life. Woman Attacked While Driving Downtown in D.C.
You have watched the TV news footage of a woman violently attacked while jogging, walking in a parking garage, leaving a mall, while on vacation or while sleeping in her own bed. You have seen these horrific stories, shook your head in disgust and vowed to be more cautious. Then…what? Perhaps you’ve munched on snacks, while watching ‘Law & Order’’— stories ripped from the headlines, and felt completely safe. Later, you returned to “business as usual.” And so it goes until, may God forbid, the victim is you or someone you know. As we repeatedly point out in “Staying Alive: A Woman’s Essential Guide To Living Safely,’” you are your first line of defense. We pull no punches in giving women the facts, the tools, and the means to protect and defend themselves. Our goal is to enlighten and empower. We dedicate this work to all potential victims of violence, but especially women. 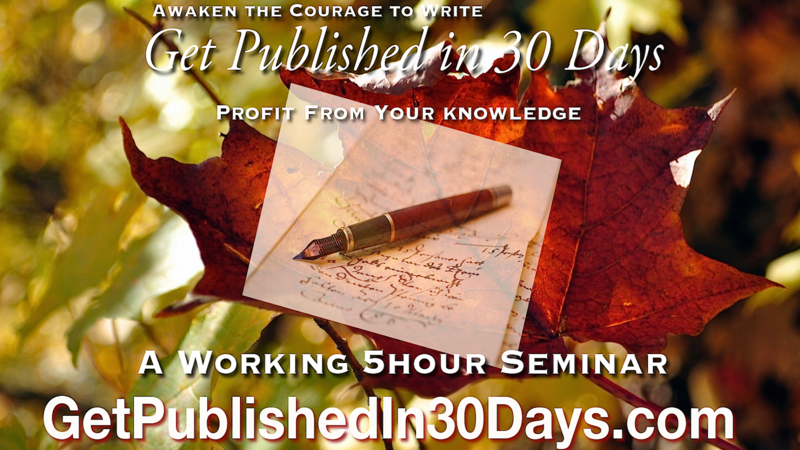 This book is not intended to frighten you unless fear is what it takes to encourage you to protect yourself. Let’s face it: whether we are or are not individually targeted for victimization, predators often perceive that we are. Thieves, victimizers, and predators go to work everyday; they do not discriminate by age, race or religion; they do not respect walls or fences, and they do not care whether you are male or female. However, rightfully or wrongly, women are more often preferred targets. I know this, personally. Understand one thing: your job is to return home safely every night. Period! Do not be misled by the stereotypical image of what a criminal or potential predator looks like. An attacker/predator may look as harmless as your neighbor, banker, minister, deliveryman, mechanic, plumber, Congressman or even your doctor. Professional predators may disarm with a smile or even a kind gesture. Remember serial killer, Theodore Bundy had the charm, good looks, demeanor, and appearance that fooled many women victims. Staying Alive: A Woman’s Essential Guide To Living Safely focuses on helping you protect yourself in public and in private venues. You must always be AWARE. 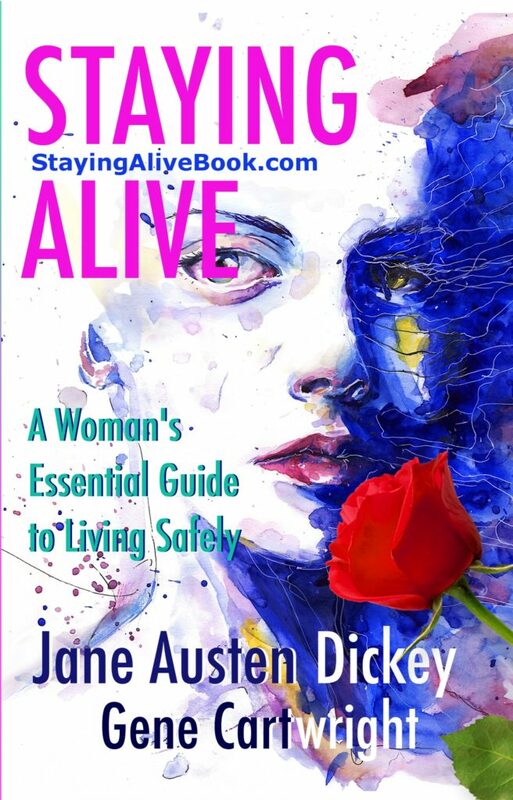 See Staying Alive: A Woman’s Essential Guide To Living Safely, at Amazon, where you can buy the print book for $9.95 and get the eBook FREE. With Staying Alive: A Woman’s Essential Guide To Living Safely, we help you stay aware and alive. Visit our StayingAliveBook.com web site. where you can buy the print book for $9.95 and get the eBook FREE. With Staying Alive: A Woman’s Essential Guide To Living Safely, we help you stay aware and alive. I am proud to have co-authored this book with my good friend and associate, Jane Austen Dickey. Thanks, Jane. Children Teach Love, Not Hate. The U.S. Constitution: A Living Document? “Half Moon, Full Heart”, A Love Story Like No Other.